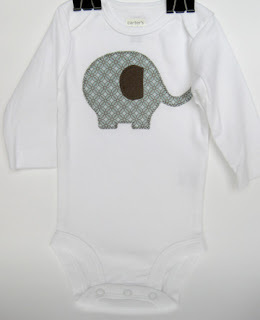 Using some scraps from my previous baby gift projects, I made this little onsie. The ear is soft brown flannel. 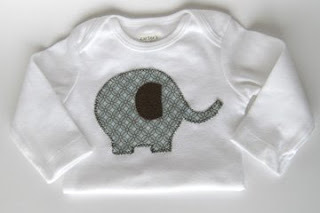 Next friend or family member to have a fall/winter baby boy might just find this little number wrapped up for them. I love this! 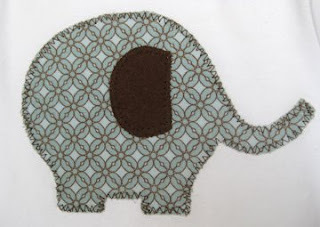 Did you use an iron on backing for the elephant? did it make it really stiff? I used Heat'n'Bond which is a thin iron on backing, very light. Not stiff at all.